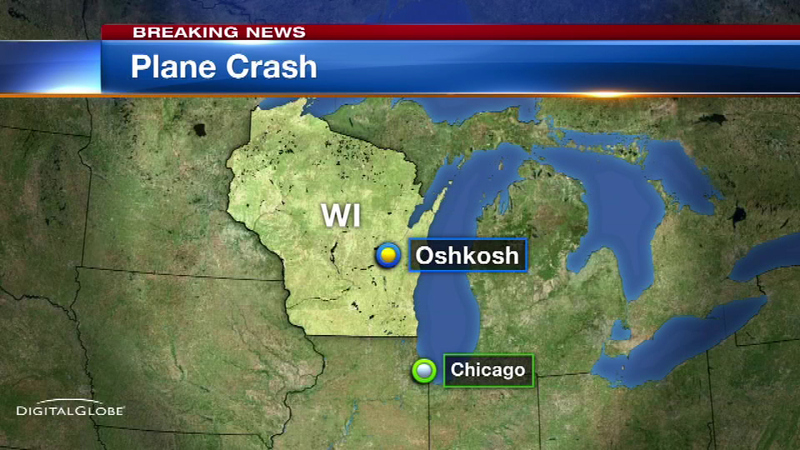 OSHKOSH, Wis. (WLS) -- Two people died in a small plane crash in Wisconsin Tuesday. The plane crashed at the end of a runway at the Wittman Regional Airport in Oshkosh. Officials said the pilot was attempting to land and missed the runway. Authorities have not released the names of the victims, but say both were on the plane at the time. "There were no injuries to anyone on the ground. The FAA and the NTSB have been contacted already and they are in enroute. And at this time this is the only information that we are releasing," said Joe Nichols, Oshkosh Police Dept. The plane crashed into several military vehicles stored next to the runway. A plant near the runway was evacuated as a precaution.